It’s finally 2017, which means digital marketing is getting bigger and better! Want to know how to make your digital marketing efforts even more successful? One of the top digital marketing trends that will probably never fade is content marketing. Creating awesome and relevant content is very important when trying to send a message about your business to your customers. Your content is on your website, your social media pages, and on your blog. Social media is a huge platform where content will always be seen by your consumers. You should figure out if the content that you are posting on your social media profiles is appealing to your target audience. You can use silly photos, video tutorials, or anything else that you think will give your customers a reason to click on your links. Make sure that any post you send out is always interesting and relevant content. Everyone these days is constantly on their phones. For this reason, many companies have looked at setting up mobile marketing campaigns to get more sales. Having ads on mobile apps such as Instagram, or creating your own app, will let users buy your products from anywhere. People are looking for quick and easy ways to do what they need to do. Your company can help them get the services they need right away by going mobile. Make all of your campaigns and your website mobile friendly, so that anyone can use your services wherever they are. Another big digital marketing trend that is fairly new is the popularity of live videos. For example, Facebook now enables its users to record themselves live at any time and share their live videos with their friends. People all over are tuning in to watch all of these live videos. Instagram also has a similar feature where users can record themselves live as well. Use the live video strategy as a marketing tool. You can record yourself talking about a product, interviewing customers, doing a short tutorial, and anything else you would want your customers to experience. Make your business exciting by allowing your customers to feel like they are sharing the experience with you directly. Ready for the final trend? A lot of companies are starting to use Facebook ads as a digital marketing effort to promote themselves. Especially if you are looking to advertise your business towards Millenials, Facebook ads would be very beneficial. With every Facebook ad that you create, make sure that it links back to your website. Again, you want to make it easy for your customers to find you online. Facebook ads are also inexpensive and you can even pay per click. Now that you’re familiar with all of the newest digital marketing trends, do your best to implement them into your marketing efforts. Get ready for your business to thrive in 2017! Many times, marketing can feel like a moving target. But being familiar with marketing trends can help you be better prepared to keep your business on track. 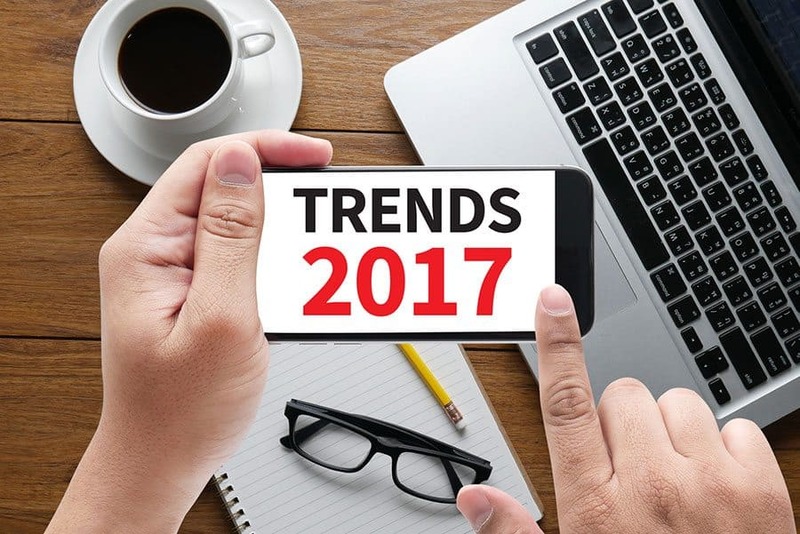 In 2017, trends are more focused on technology than ever before. Here are some surefire ways you can boost your marketing efforts with current marketing trends. We’ve crested the summit of desktop vs. mobile, with mobile use representing 60% of all online activity. This means several things as far as marketing trends are concerned. First, you need to make sure that your website and blog are optimized for mobile browsing. Consider using an interactive design for an extra attention-grabbing edge. Second, it might be time to consider creating an app for your business. Third, mobile payment services are on the rise and seem to be increasing in popularity with consumers. But it’s not enough to simply offer payment options through Apple Pay, Google Wallet, or PayPal — you need to advertise that you do. 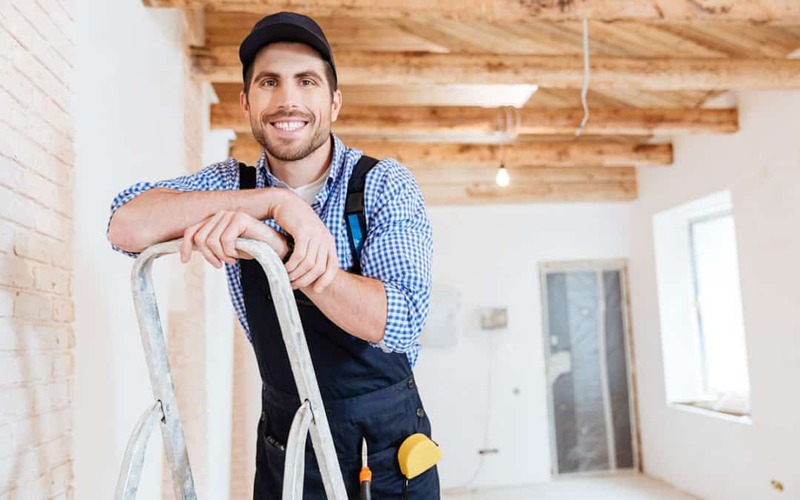 This is a huge attention grabber, especially for small businesses, and it can be the difference between making or missing a sale. By now you should know that social media is at the heart of marketing trends. If you don’t have social media platforms for your business, you’re falling behind. Platforms like Facebook, Instagram, and Twitter are easy to keep up and make interactions with potential customers personal and easy to manage. If you don’t have a blog for your small business, you’re shooting yourself in the foot. By providing information on your business, services, and industry, you are making yourself into resource and people are more likely to trust you. Be sure that your blog is providing accurate and relevant information and is making use of proper SEO techniques. Customer loyalty programs are one of the best ways to turn one-time customers into return customers. While 97% of loyalty programs are transaction based, these programs are also extremely versatile and can be adapted to any business. Offer free or discounted services for return customers or for referring friends and family. Incorporate your loyalty program into that snazzy new app you’re about to release. Or use it in conjunction with your email campaign. Potentially the most well-worn of the marketing trends that are still relevant today, the typical email marketing campaign needs a facelift. Gone are the days when a personalized email would stop a potential customer in their tracks. People have become immune to seeing their name plugged into endless sales emails. By not including personalization, you will actually entice more people to continue reading because you have managed to stand out amidst the plethora of other marketing emails. Now you really need to wow them. Make use of eye-catching email formats, quality writing, and statistics. Also be sure that you aren’t throwing a wall of text at your consumers or your email will hit the trash folder before anyone reads a single fabulous word. If you’re ready to bring your marketing to the 21st century, get in touch and we’ll help you get everything nailed down!